Series 1 and 2, Sealing ring for 2-litre Side Rocker Cover special fixing nuts. Series 1, 2 and early 2a, Sealing Ring for Transfer Box Intermediate Shaft. Series 2a, Sealing ring for 6-cylinder Side Rocker Cover special fixing nuts. 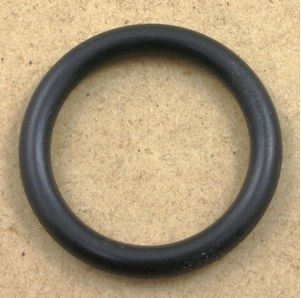 Series 3, Sealing ring for Series 3 Gearbox Speedometer Drive Pinion housing. For non-Land-Rover use dimensions are 21.9mm ID x 28.8mm OD.